The 2015 Lexus IS is an attractive proposition–poised with good driving dynamics, lots of technology, and a reputation for reliability with which its competitors just can't compete. 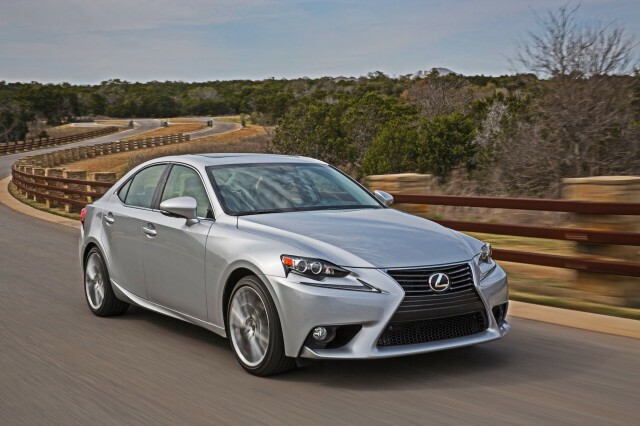 The 2015 Lexus IS offers a good blend of comfort, style, technology, and driving dynamics. The 2015 Lexus IS was fully redesigned just last year, but for 2015 gains a handful of updates. LED fog lamps sharpen the look; Siri Eyes Free from Apple adds to the interface; and there are more choices inside with newly available piano black trim. 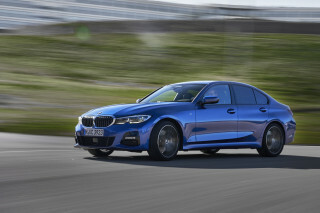 The IS is a compact sport sedan that fits below the GS models on the more performance-oriented side of the luxury brand's lineup. We still haven't seen a refreshed version of the IS C convertible, which carries over again into the 2015 model year. But the new 2015 Lexus RC Coupe has replaced the IS C in the lineup. 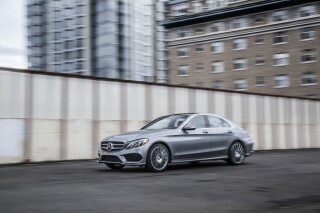 As for the four-door IS, it returns, with all the style and panache associated with its German sport sedan rivals, thanks to its edgy good looks, improved performance, and unmatched reputation for reliability. The most noticeable piece of design on the Lexus IS is the "spindle grille" at the front of the car. F Sport models get an all-black mesh grille inside the spindle shape, creating a gaping, aggressive maw. Standard IS sedans get a slightly more normal look with horizontal bars filling the upper two-thirds of the spindle opening. Sculpted sides and pointed tail lights give a dynamic feel to the profile, while the simple, clean rear end finishes the new look on a tight and tidy note. Inside, goes mostly unchanged for this year, with exception of a new shade of gray interior, and optional piano black trim. A tiered dashboard adds an upscale feel to the design, while the center stack's controls are simple and cleanly laid out. The steering wheel shape continues the upgraded look and feel, and in F Sport models, an LFA supercar-inspired digital instrument display takes the IS to the next level. On the comfort and quality front, upgrades do much to improve the IS. Interior materials look and feel more refined and high-quality; the seats are well-bolstered, particularly in F Sport models, yet still comfortable; the rear seat offers more space thanks to slight revisions in the car's size; and while the trunk is still on the small end of the spectrum for the class at 13.8 cubic feet, it's big enough for most purposes. Under the hood, you'll find the same engines as in the last-generation IS. 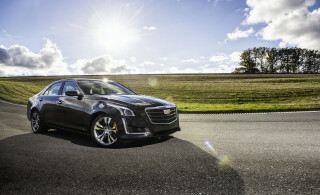 That includes a 2.5-liter V-6 rated at 204 horsepower for IS 250 models and 185 pound-feet of torque and a 3.5-liter V-6 rated at 306 horsepower and 277 pound-feet of torque for IS 350 models. F Sport trim levels get no additional power, but do get other performance upgrades. Rear-wheel drive is standard, but all-wheel drive is available. A six-speed automatic transmission is standard. No manual transmission is offered, but an eight-speed automatic is offered on rear-drive IS 350 models, including F Sports. 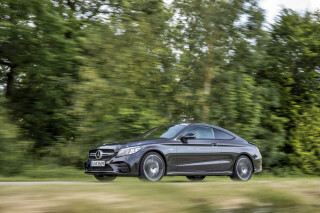 The new eight-speed is smooth and quick-shifting, improving both performance and daily-driving comfort. Gas mileage is good, not great. The rear-drive IS 250 scores 21 mpg city and 30 mpg highway for 24 mpg combined; adding all-wheel drive brings that number to 20 mpg city and 27 mpg highway for 23 mpg combined. In the IS 350, rear-drive models score 19 mpg city and 28 mpg highway for 22 mpg combined; all-wheel drive models score 19/21 mpg and 26 mpg combined. Other upgrades from the last generation include a re-tuned suspension and stiffening of the chassis to improve handling and dynamic capability. In practice, the result is a car that drives very much like the previous IS, but with just a bit more precision. 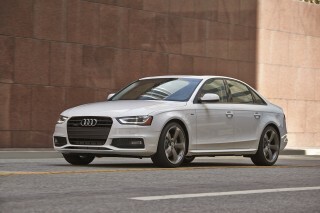 It's definitely an incremental improvement to the IS's sport-sedan chops, rather than a revolutionary upgrade. However, these changes all applied for last year's 2014 model as well. Steering precision and feel is good for an electric-boost system. The optional variable-ratio steering in IS 350 F Sport models sharpens the car's responses noticeably, but doesn't improve feedback. The 2015 Lexus IS' overall dimensions place it firmly in the subcompact car class at 90.2 cubic feet of passenger volume, despite the 183.7-inch overall length and 110.2-inch wheelbase. Curb weights range from 3,461 pounds for the IS 250 up to 3,737 pounds for the IS 350 with all-wheel drive. 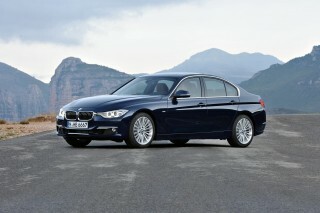 Weight distribution is 54:46 front-to-rear for rear-drive models and 55:45 for all-wheel-drive cars. Standard safety equipment in the 2015 Lexus IS includes a full complement of airbags, with driver's and front passenger's knee airbags; front seat-mounted side airbags; front and rear side curtain airbags; and the usual side and frontal airbags. LED daytime running lights are standard, as is vehicle stability and traction control, tire pressure monitoring, and an energy-absorbing crash structure. Optional safety features include blind spot monitoring with rear cross-traffic alert, dynamic radar-based cruise control, lane departure warning, park assist, and a back-up camera. The 2015 Lexus IS offers a strong set of standard equipment, including an audio system with eight speakers, a seven-inch screen, CD player and radio with HD Radio capability, MP3/WMA/USB and iPod handling, voice recognition, and streaming audio via Bluetooth 3.0. Other standard features include power accessories, manual-tilt steering wheel, 60/40 split folding rear seats, programmable electronic settings memory, and electrochromic mirrors. The spindle grille is a love it or leave it prospect, but elsewhere the Lexus IS is handsomely up to date. The 2015 Lexus IS has all of the aggressive angles to suggest that it's ready for a day in the canyons, without sacrificing its soft curves that suggest it's prepared for the valet lane, too. The interior goes mostly unchanged for this year, but remains a noticeable improvement on the IS of yesteryear. Materials are slightly nice, but the design is what really shines. With a wide, squat center console and a tiered dashboard, the visual effect is similar to interiors of cars costing twice or three times the IS' price. 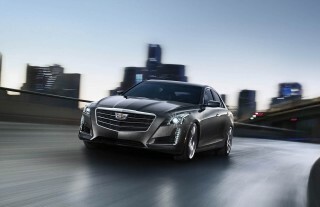 With its aggressive spindle grille, dynamic stance, and sharp curves, the design is fresh, but still, somehow, familiar. That familiarity is a good thing, as it kept the best of the essence of the previous IS while moving the overall design forward with last year's new model. Angular, expressive lines around the front end, lean and graceful curves down the sides and rear, and a purposeful stance make the IS look like it's up for anything, be that a day chasing canyon curves or a night on the town. The IS 250 doesn't have enough power; the Lexus IS 350 is a strong, balanced performer. There are no major mechanical changes in the 2015 Lexus IS lineup since last year's overhaul. From the driver's perspective, the biggest change from the 2013 model and prior is in the driver's seat--the seating position is 20 mm lower in the 2015 IS than in the 2013 model. That lends a more intuitive quality to the feel of the IS. Combined with the F Sport trim package and Adaptive Variable Suspension system, the 2015 IS corners with very little body roll, and is well-controlled and fun-to-drive in all respects. At the outer limits, tuned-in understeer is noticeable, but it's a minor issue. Engines for the 2015 Lexus IS carry over from the previous-generation car, meaning you'll have a choice between the entry-level IS 250 with a 2.5-liter V-6 rated at 204 horsepower and up to 30 mph on the highway, or the IS 350, with a 306 horsepower 3.5-liter V-6 good for up to 28 mpg highway. All-wheel drive or rear-wheel drive are available in all forms of the 2015 Lexus IS, as is the F Sport package. While the IS 250 never really feels underpowered, it definitely doesn't have the pep you'd expect of a sport sedan. The IS 350 remedies that, and while the all-wheel drive's extra foul-weather traction is a nice feature, the rear-drive model's driving dynamics make it the enthusiast's pick. Overall, the 2015 Lexus IS is a fun-to-drive car with well-balanced traits, but it's not quite enough to put the fear into the German, Japanese, and American competition. The latest Lexus IS has more room, better seat comfort, and better noise damping than the previous edition. Build quality has never been a big gripe of ours with the IS, and the 2015 model continues in that direction. For 2015, the IS gains a new Stratus Gray interior option to replace the previous Light Gray color, and there's a piano black trim kit available, too. The cabin of the IS is comfortable and spacious for its class. Last year's 2.7-inch longer wheelbase improves rear leg room by 1.6 inches and front leg room by 0.9 inches over previous generations of the IS. In all-wheel-drive models, driver and passenger footwell areas are somewhat compromised by a center tunnel expanded to accommodate the transfer case. The main drawback in the cabin: the buttons on the steering wheel. These are items you'll interface with regularly, controlling the vehicle and infotainment controls of the IS, and they seem hollow, cheap, and unnecessarily plasticky. Crash test scores have been good, but not great, on the new Lexus IS. The 2015 Lexus IS offers many of the world's most advanced safety technologies on the market, as well as a strong set of crash test ratings for last year's model. The Insurance Institute for Highway Safety (IIHS) rates last year's IS with its top mark of "good" in moderate overlap and side-impact crash tests, as well as 'Advanced' in front crash prevention, when equipped with the optional Advanced Pre-Collision System Package. And it's earned a top five-star Overall Rating from the National Highway Traffic Safety Administration (NHTSA), including four-star frontal results and top five-star results for side impact and rollover. Versus the previous-generation IS, which had earned four stars overall, stronger side-impact results pushed the current IS up to its five-star result. The 2015 Lexus IS offers many available features that enhance safety on the road, including subscription-free traffic and weather updates in the new infotainment system, ten airbags, lane departure warning, blind spot notification, and cross-traffic warning all standard. Siri Eyes Free is new to the Lexus IS this year; Mark Levinson sound is one of its better options. For 2015, the Lexus IS now offers Siri Eyes Free connectivity for Apple products, heated/ventilated seats for F Sport models, and the Lexus Enform Remote mobile application. Standard features on the 2015 Lexus IS include a wide range of features, like a 7-inch VGA center screen, eight-speaker audio system with in-dash CD and HD Radio plus SiriusXM, basic voice recognition, automatic climate control, Bluetooth phone connectivity, and much more. Gas mileage in either Lexus IS is decidedly average. In a class filled with fuel-sipping four-cylinders and monstrous V-8 engines, the Lexus IS earns fair-to-good EPA ratings. Lexus' more powerful IS 350 models earn gas mileage ratings of 19/28/22 mpg (IS 350); 19/26/21 mpg (IS 350 AWD); and 19/27/22 mpg (IS 350 C). The 2015 Lexus IS 250 sedan rates 21 mpg city, 30 mpg highway, and 24 mpg combined according to the EPA; with all-wheel-drive, the IS 250 AWD drops slightly to 20/27/23 mpg city/highway/combined. The IS 250 C convertible rates the same as the sedan, at 21/30/24 mpg. In other words, there isn't a very big penalty for choosing all-wheel drive with either engine, but the Lexus IS is not especially green in any form. Gas misers will do well to look elsewhere, particularly toward turbocharged four-cylinder alternatives in the compact luxury sedan segment. .poor tire life durability: only 32000km one set of tire. And new tires are expensives. I use to drive smal sport cars, at age 74 i can say this is 350 f sport RWD is a very confortable, sporty, plaisant car. It is also my first automatic transmission(8speeds) which i appreciate very much. As a person with other modified vehicles its nice to have a smart sporty looking car with enough poke for around the city and its surrounds.